Adorable 1 Bedroom/1 Bath single level bungalow in Stowe Hollow- 2 miles from the village and 15 minute drive to the mountain. Fully equipped and nicely furnished. Open kitchen and living area with queen sofa pullout. Private master bedroom with queen bed.Cozy sitting room also. 3/4 bath and washer/dryer. Attached one car garage. 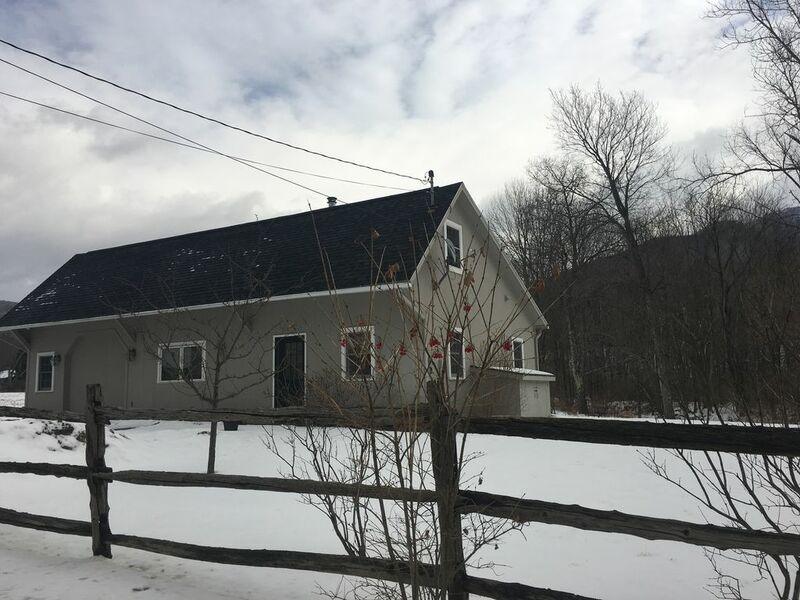 Located on a beautiful 5 acre meadow along Gold Brook, great for morning snowshoes.